With only a few weeks remaining until Christmas, a few museums are starting to drum up holiday spirit right here in Macon. The 29th Annual Festival of Trees, sponsored by the Museum of Arts and Sciences, offers a variety of events that are sure to leave everyone feeling holly and jolly. 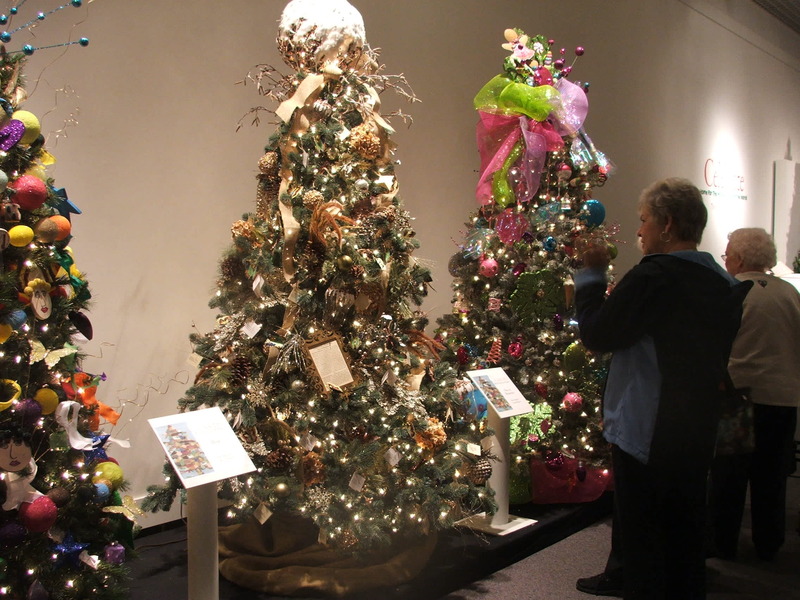 This collection of events kicks off with the Festival of Trees exhibit that will be on display from November 1 through January 15 at the museum. Trees decorated by all of your favorite local restaurants, businesses, shops and attractions will be featured. On November 11, the museum will host the Festival of Trees luncheon from 12-3pm. This event will feature food prepared by local chefs as well as a variety of local vendors ready to accommodate fall and holiday shopping needs. The historic Terminal Station will host the Festival of Trees Gala on Thursday, November 12. Guests are sure to enjoy the night with music performances, Two’s Company catering, a silent auction, an open bar, and the annual Macon Millionaire Raffle from 7-11pm. On Saturday November 14, the museum will host it’s first event geared towards children. The Planetarium will be transformed into a winter wonderland as Disney’s “Polar Express” is projected for three showings during the day. Attendees will be treated to cookies, hot chocolate, ornament crafting, and a scavenger hunt. This event will coincide with a pajama drive benefiting River Edge Behavioral Health families. Make sure you take your families to visit and enjoy the Festival of Trees this holiday season!